PhoebeNewYork is heading to Canada! Phoebe is thrilled to be making the journey to Toronto for her first ever solo show in Canada. 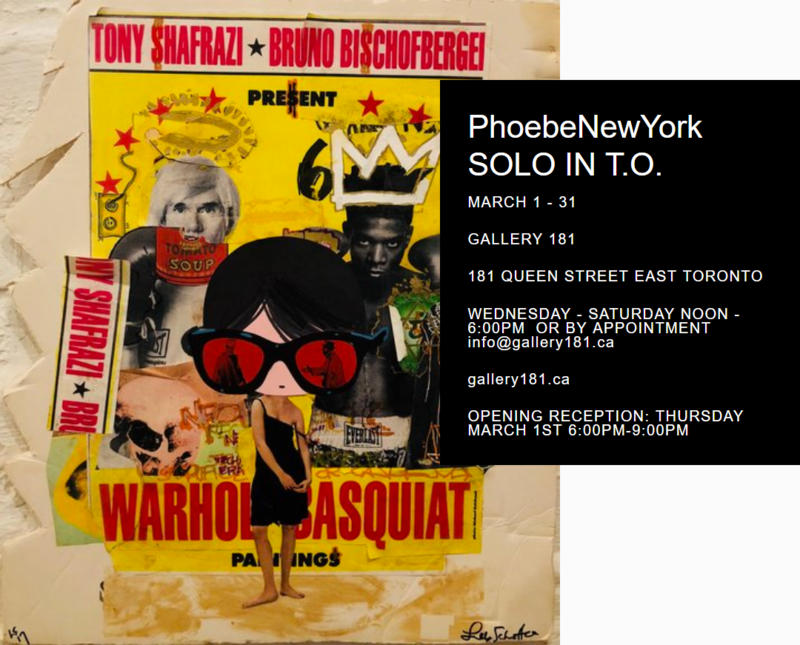 Come visit Phoebe at pop-up Gallery 181 inside the studio of Danielle Nicholas Bryk (of HGTV) starting March 1st. See the show at Gallery 181 on Queen Street, March 1st through March 31st. The gallery is open Wednesdays through Saturdays after 6pm or by appointment at info@gallery181.ca.